The busiest week of the season to-date provided some ups and downs, called for a few records to be re-written, and showcased some breakout performances. To simply summarize, the Roadrunners posted a 2-1-1-0 mark in four games played, earning five of a possible eight standings points. 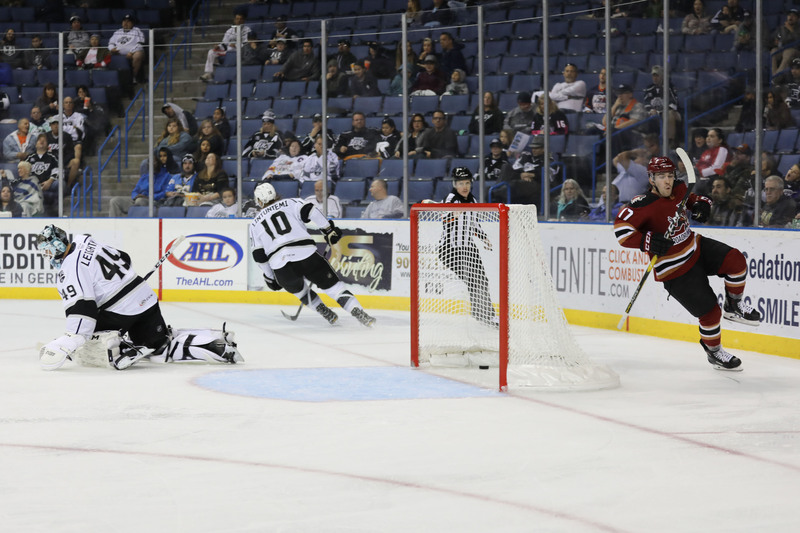 Things began, and thankfully were soon in the rear-view, with an 8-2 loss Tuesday to the Stockton Heat at Tucson Arena. It was the team’s worst margin of loss of the year and their eight goals allowed tied a franchise worst. Conor Garland netted two power play goals 38 seconds apart the following night to jolt the Roadrunners to a 3-2 bounce-back win over the Heat on Wednesday. This gave him a stretch where eight of his previous 10 goals scored were accounted for as game-winners. 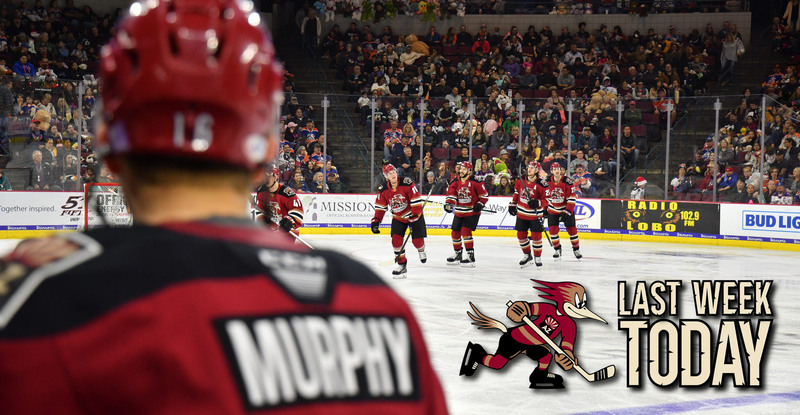 Back on the road Saturday, the Roadrunners scored three goals in 2:08, the fastest three scored in club history en route to a commanding 6-1 victory over the Bakersfield Condors. Adin Hill got his first taste of NHL action this season on Sunday afternoon when he was called in to relieve Antti Raanta with 15:57 left in the third period in the Arizona Coyotes' game against the Calgary Flames at Gila River Arena. He stopped the one shot he faced. Another powerful offensive performance featuring Tyler Steenbergen’s first professional goal followed Sunday in Ontario, but one the Roadrunners couldn’t protect defensively, falling 7-6 in overtime to the Reign after leading by four goals with 15 minutes left in regulation. In what would prove to be his second-to-last game with the Arizona Coyotes organization, Dylan Strome scored his final goal with the club, tucking home a rebound from a Brendan Perlini shot past Philipp Grubauer in the third period of the team’s 5-1 loss to the Colorado Avalanche Friday night at Gila River Arena. Brayden Burke. Three magnificent goals. You be the judge.